Modern progressive rock band Coheed and Cambria’s upcoming sixth studio album will be a double concept album entitled “The Afterman”, which will be released in two separate full-length volumes. The band made the announcement today via a cinematic video trailer on their official website. The first volume, The Afterman: Ascension will be available on both physical and digital platforms October 8, 2012 via V2 Recordings/Everything Evil andthe second volume, The Afterman: Descension is slated for release in February 2013. The band also confirmed a handful of intimate U.S. club shows leading up to the release of Afterman, with a UK tour in November of this year which follows Coheed and Cambria’s Main Stage performances at Reading and Leeds 2012. Musically, Afterman sees the band perfecting their powerhouse progressive rock, soul and even pop landscapes. The dual release also marks the return of original drummer Josh Eppard, who the band parted ways with in 2006, bringing with him his benchmark percussive grooves. Coheed and Cambria self-financed andco-produced Afterman, alongside Michael Birnbaum and Chris Bittner, who produced the band’s first 3 albums, in Woodstock, NY. Aftermanwas mixed by Rich Costey (Muse, The Shins, Foster the People) and Ryan Williams (30 Seconds To Mars). Coheed and Cambria are currently on the road in North America with Iron Maiden. About The Amory Wars:An epic, sci-fi fantasy set in an alternate universe (Heaven’s Fence) that chronicles the rise of superhuman dictator Wilhelm Ryan, and the one family that could hold the key to liberating the world from his tyrannical reign. The mythology was originally created by Sanchez to serve as inspiration for the band’s albums, but the series expanded to other mediums, including both prose and graphic novels. About The Afterman: Sirius Amory, the most celebrated astronomer/scientist in the alternate universe of Heaven’s Fence is ‘‘The Afterman.’ Sirius (pronounced “Sy-ruhss”) is credited with the discovery of the energy force (known as The Keywork) that binds the 78 planets of these worlds together. He embarks on the greatest discovery of his existence, and possibly mankind’s. By doing so, what is truly most important to him begins to slip right through his hands. We are extremely excited to welcome ASTORVOLTAIRES to the Rain Without End Records family. ASTORVOLTAIRES is the brilliant solo project of J.Escobar.C (ex-Mar de Grises) which was born in Santiago, Chile in 2008. The music is primarily melodic Doom Metal, mainly focusing on slow melancholic sounds and minimalistic resources. RWE Records will release the new album “BlackTombsForDeadSongs” on Dec 6, 2012. ASTORVOLTAIRES’s debut album “Katan Nagantü” was released on Endless Winter in October 2010. The album features Spanish lyrics but title is Mapudungu (an isolated language spoken in south-central Chile) and the literal meaning is “through the afternoon” with the implicit meaning being slightly different – It`s the story that carries life itself, a race that everyone runs, past, present and future. It is through life experiences, sorrows, joys, love and hate. Full details for “BlackTombsForDeadSongs” including artwork and track listing will be available in the near future as the album artwork is currently being finished at this time. Ensiferum are one of the most renowned metal bands to hail from Finland. Unsung Heroes, the fifth album from the Finnish metallers and produced by Hiili Hiilesmaa, is described as a “cinematic experience”. Since their first album, the band’s musical ambition and vision has gone strength to strength with each new release. Symbols is the first track of the album, setting the mood with a delicate orchestrated piece. The track is one of those that sends a chill down the spine, containing a subtle majestic feel that calls forth an epic atmosphere without dulling the mood that is created. As the track comes to its end, In My Sword I Trust begins, which screams out with a typical Ensiferum sound. The riffs are heroically played, swaying back and forth alongside the drums and keyboards, making for a sagaic sound while the vocals gallantly join the fray. The lyrics paint quite the mythic image that adds emphasis to the music. Unsung Heroes, the title track, summons forth a fearless new sound blending soothing keyboards with the howling vocals and guitars. The slower pace of the song builds up the Hollywood-like sound, blending with the unflinching sound of the guitars and vocals. Burning Leaves, a song I’m sure a lot of Ensiferum fans are no accustomed with, begins with a folky section before the heavier sections kick into action like axe-wielding warriors at the beginning of a battle. The folkier sounds of the song dance gracefully and handsomely with the other elements of the track. The vocals sound almost romantically performed, keeping true to the traditional Ensiferum sound. The poetically titled Celestial Bond begins with an alluring use of vocals that takes me back to when I first heard the final track of Iron. The music is almost fairy tale-like in its performance, painting an enchanting aura. Retribution Shall Be Mine shakes up the album a bit, screeching forth with fast paced drumming and manic guitar playing. The vocals are beyond bloodthirsty, screaming like a berserker seeking a worthy opponent. Retribution Shall Be Mine is definitely one of those songs that would make for a great mosh pit anthem. Star Queen, which is part two of Celestial Bond, follows in the same soothing vein of Celestial Bond, even during in the heavier sections. The keyboards weave through the song majestically and seductively, creating the grandiose sound that any Ensiferum fan is accustomed to. Pohjola switches between sounds rather interestingly, combining through its entirety a use of dark sounds and dramatic choirs along with the abounding epic riffs and a use of spoken word in what I believe to be Finnish. The breezeless soundings of Last Breath follow soon after, bringing with it a gloomy yet heroic mood. The careful balance of vocals and acoustic guitars with the subtle orchestration creates a typically folky-yet-Ensiferum sound. And so the saga that is Unsung Heroes comes to its final chapter; the 16 plus minute epic Passion Proof Power. The cawing of ravens and various other sounds of nature ring out at the beginning before the song marches into a horde of heavy guitars and pounding drums, with the cinematic orchestration that gently weaves its way into the song. As the track progresses, the vocals are introduced, strengthening the song. The keyboards offer up nibbles of folk elements as well, giving Passion Proof Power that true Ensiferum sound. The track displays a use of darker sounds and awe-inspiring female vocals, that are – and I hate to say it – almost gothic. The use of harsher us of vocals make Passion Proof Power sound more callous and barbaric and the keyboard solo brings about a very power metal feel. Other elements from previous tracks make an appearance as well including the spoken word. The second half of the track contains the heavily thespian side of Ensiferum’s music, especially with the combined use of harsher and female vocals and a very august sound ringing from the guitars. However, fortunately for those who can’t stand too much of a dramatic sound in their metal, the other half also displays the raw powerful sound of Ensiferum’s music as well. When a band tries to balance a cinematic experience with a powerful metal sound, they usually fail as a rule. Ensiferum, on the other other hand, have managed to perfectly balance the two together and still throw in some extra elements for good measure. Unsung Heroes really does show how far the band’s sound has come and developed over the years and is a clear indicator that Ensiferum are at the top of their game. 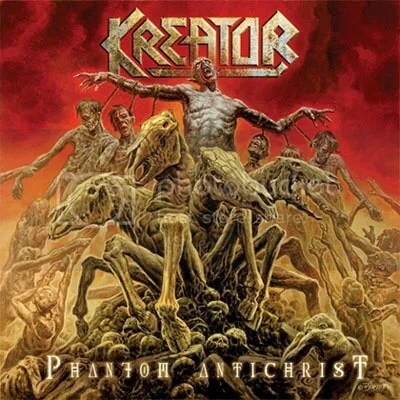 Not pure thrash metal, as Kreator have realized long ago that a bit of technique and a handful of melody don’t make your sound less aggressive or less powerful. So you find elaborated guitar pieces with the destructive force of thrash but, simultaneously, the pleasant chords of melodic death metal. The band’s been trying this formula for about 4 albums now, but I dare to say this is the best outcome so far. And “The Few, The Proud, The Broken” has some… “different” tempo variations, as the ones we can find in those experimental bands, so popular nowadays. 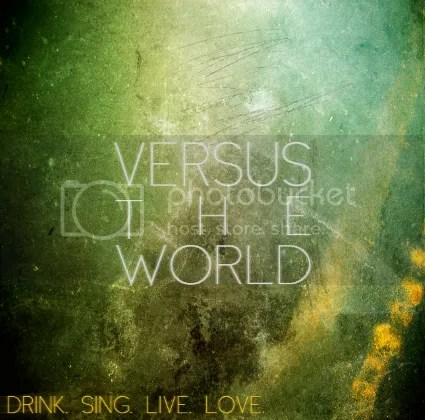 Versus The World–Drink. Sing. Live. Love. Versus The World rung a bell the second I received their new album Drink. Sing. Live. Love. however at first I wasn’t sure where I had heard the name (aside from the Amon Amarth album of the same name) but it wasn’t until recently I realised I’d first discovered these Santa Barbara rockers through one of the WWE games that one of their songs were featured on. The album is taken on a wild ride at the beginning of She Sang The Blues. While the riffs display a furious raw sound which I’m somewhat familiar with, the vocals are more tame compared to the music. Mason Grace changes completely from the previous track, becoming more of a heavy pop punk track that does match the vocals very well but can be a bit of a come down for anyone expecting driving force of angry riffs. A Fond Farewell is another pop punk based track where the riffs, again, work well with the vocals, emphasising their unique sound. Following the short dialogue at the beginning, The Kids Are Fucked offers up a lovely serving of aggressive, in your face and melodic guitar playing and violent drum work. The vocals have a callous touch to them as well, adding emphasis to the song. Fortunately Lullaby allows the fierce guitar stylings to continue for a short while before coming more tame and laid back. These Bones sounds very much like a Paramore track but with male vocals instead, which can be somewhat entertaining. A Love Song For Amsterdam keeps the pop punk sound flowing from the last track, minus the Paramore sound. The following track Crooks & Liars takes on a different sound to everything else on the album, featuring more emphasis on the bass, which rings out powerfully like church bells in the morning. Oh Brother Where Art Thou doesn’t particularly stand out though some of the riffs are well composed and played. The next two tracks, In The Fear Of The Finale and Donner Pass, travel down the same road, musically, displaying angsty riffs and callous drum work. Angry February is a very sombre affair, mixing a range of different, solemn emotions together in the form of staunch vocals and slow guitars and rhythm. We Were Alive finishes the album in a melodic, pop punk fashion. Drink. Sing. Live. Love. is a hard one to judge due to its diverse sound though this might cause it to not be everyone’s cuppa tea. However, the album is enjoyable though there are some parts that need polishing. Former Blaze Bayley guitarist, Jay Walsh, returns with new UK based thrash metal outfit Bull Riff Stampede (featuring British and Italian band members who’ve shared stages with Anthrax, Sabaton, Amon Amarth, Sikth etc). Bull Riff Stampede’s debut album ‘Scatter The Ground’ is out now. Bull Riff Stampede are turning heads; having already been billed with Sepultura, Evile and playing the UK’s prestigious Download Festival.